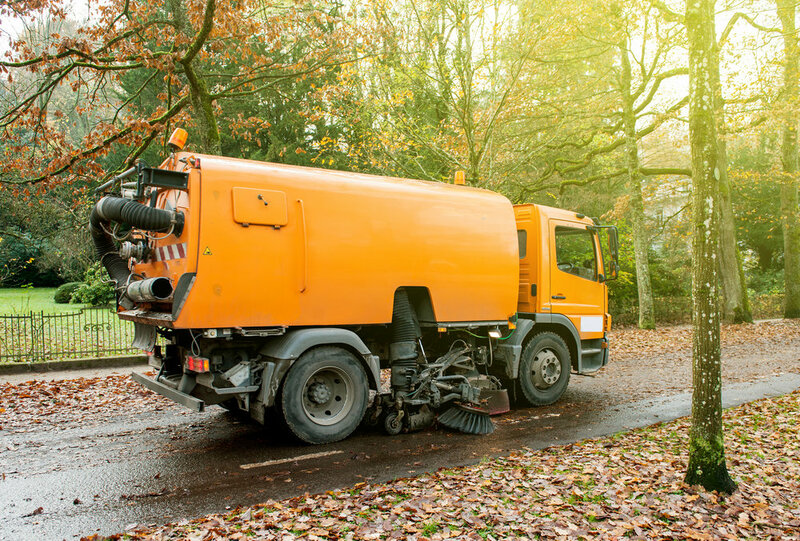 Sweep the streets and remove leaf piles. Clean and repair storm drain systems and concrete channels. Inspect and clear drain inlets, drainage pipe outfalls, and drainage trash racks. Investigate drainage issues received from residents. Get the equipment ready; mount the plows and find the shovels. Review snow plowing routes and address potential hazards. Check operation of emergency power generators. Make sure the heating system is ready to go. Replace filters, clean burners, and coils. Check that outdoor air dampers are working properly. Fix the little maintenance issues that could be problems in the winter. Look out the window to assess: Are the parking lots safe for your employees? Is there a place for the snow to go when you plow? Check the roof for leaks or loose materials. Remove any low-hanging tree branches around the building and parking areas. Check thermostat and lighting timers have been adjusted to reflect the recent time change. Find your snow shovels. Mark obstructions or other features that could be damaged by snow plows. Schedule your annual heating system check. Clean gutters and trim any low-hanging branches. Check your emergency kit to be sure you have fresh batteries, flashlights or candles, back-up phone power banks, bottled water, and first aid equipment. Put the ice scrapers in the car, find your shovel and test your snow blower. Reverse the ceiling fans to clockwise. Energy Star says the fan will produce an updraft and push down into the room heated air from the ceiling. Cook a few meals and freeze them, just in case you catch the flu or get snowed in.